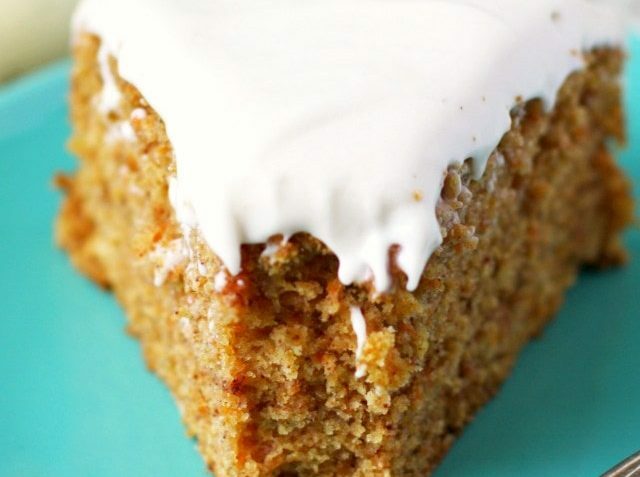 A delicious carrot cake recipe that’s gluten free and vegan! 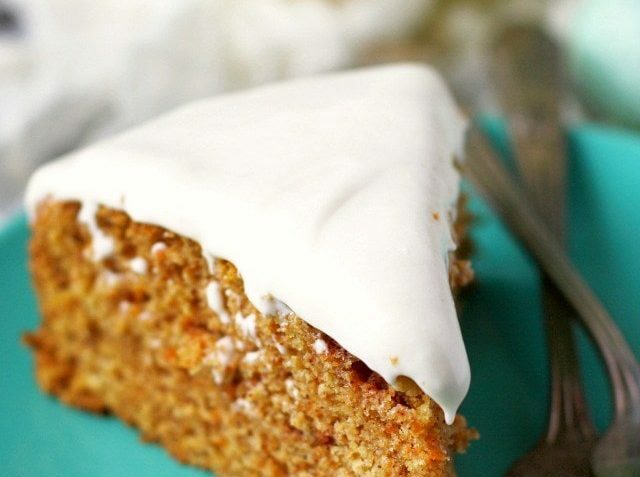 This lightly spiced cake is topped with a sweet dairy free cream cheese frosting. Preheat the oven to 350 degrees. Grease an 8 or 9 inch round cake pan and line the bottom of the pan with a circle of parchment paper. In a large bowl, whisk together the flour, baking soda, baking powder, salt, cinnamon, and ginger. Add the shredded carrots and toss to coat. Make a well in the center of the dry ingredients. Add the sugars, canola oil, applesauce, vanilla extract, apple cider vinegar, and water. Stir well until combined. Pour the batter into the prepared pan. Bake at 350 degrees for 30-38 minutes (depending on the size of the pan), or until a toothpick inserted in the middle comes out clean. Let the cake cook for about 15 minutes in the pan, then run a knife around the edge of the pan and invert over a wire rack to remove. Let the cake cool fully on the wire rack. 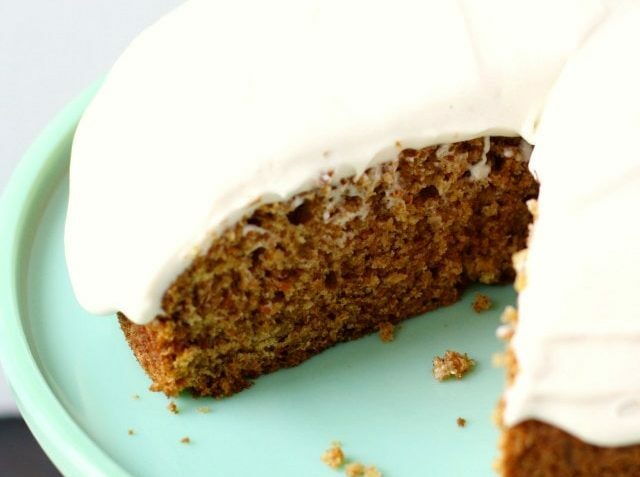 Make the frosting once the cake is fully cooled. In a mixing bowl whip the Daiya cream cheese and the vegan buttery spread. Sift in the powdered sugar. 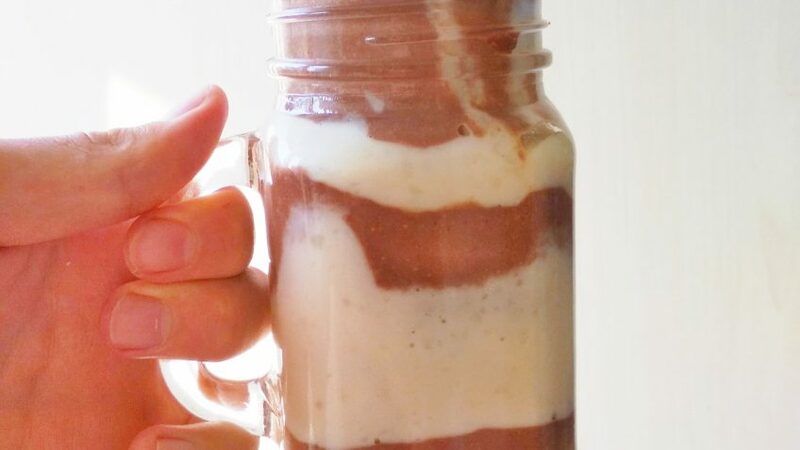 Mix until very smooth and creamy. 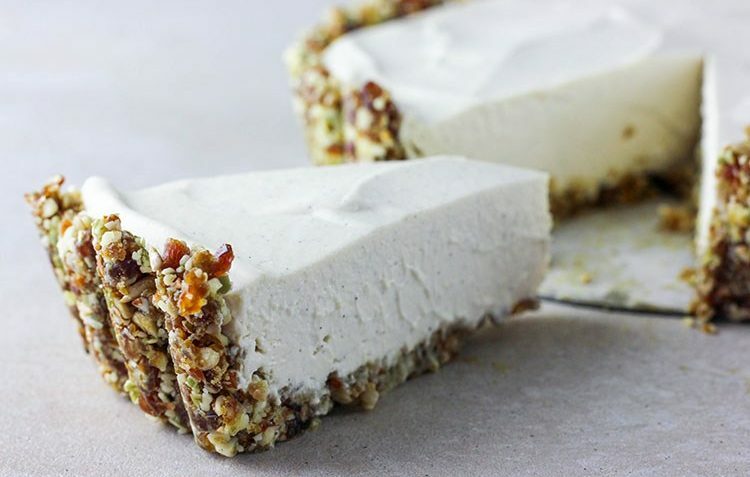 Frost the cooled cake, and refrigerate if not serving immediately. Store leftover cake in the refrigerator.